Trained during the 2018 Clinton Anderson Academy, Gemma is as athletic and sweet as they come. Gemma had her start at the Clinton Anderson Academy in the spring/summer of 2018 where she completed the Fundamentals level of The Method. 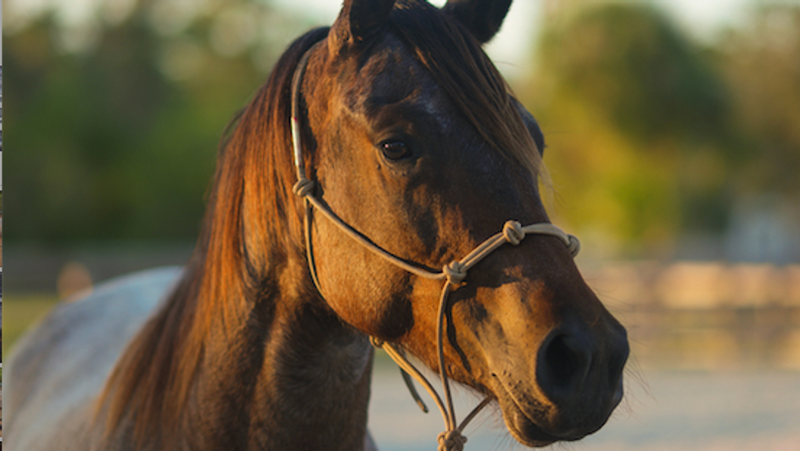 She has been exposed to anything and everything you can find on a ranch – cows, machinery, tractors, etc – rides over obstacles and through water without hesitation, and is quiet and respectful on the trail whether he’s completely alone, in a group of a few horses or in a group of 20+ horses. She stands quietly when tied, for the farrier, for baths and loads with ease. Gemma’s sweet and nonchalant demeanor goes hand in hand with her athleticism, intelligence and willingness. She has a solid foundation in the basics, and is ready for the next level of wherever you wish to take her. She is soft, supple, responsive to your leg, rates your seat well, and has a very smooth lope. While easy to handle on the ground, Gem is not a horse for beginner riders only because she is so light in your hands and responsive to your leg – she needs someone who knows what they’re doing while riding her. 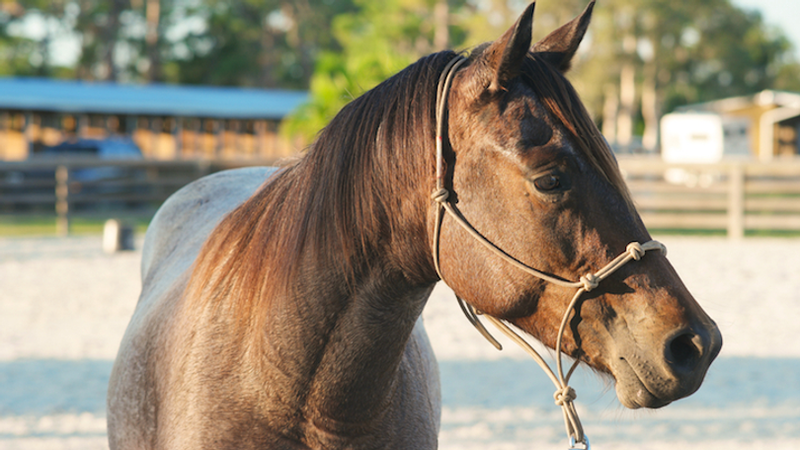 She would do best in a home with someone who would ride her daily, and give her a job to do. 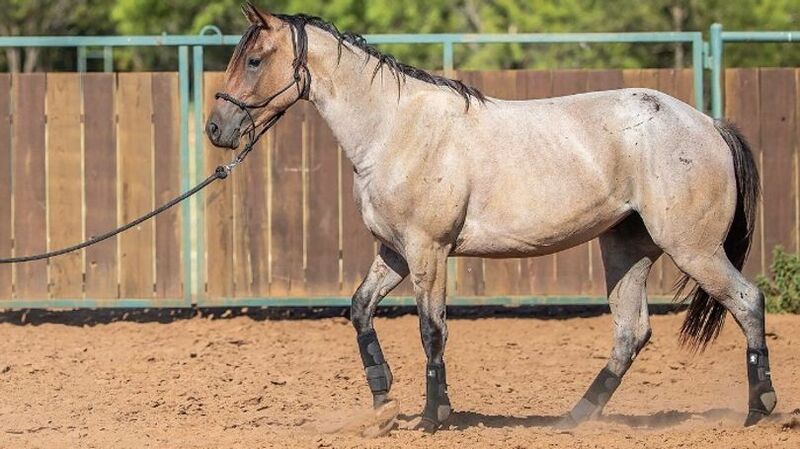 Because of her athleticism and how smooth she is while executing exercises, she definitely has the potential to be your next big showing prospect. 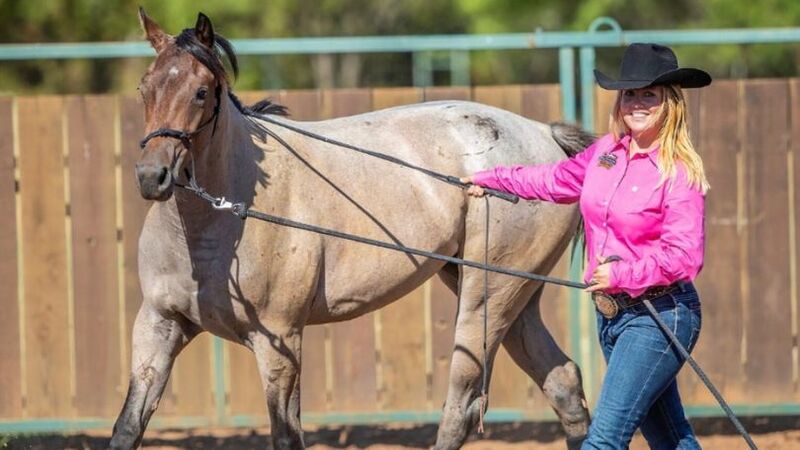 Horses that have a mind like Gemma do not come around often – if you’ve been looking for a horse you want to challenge and advance with, there’s no question that she is the one you’ve been looking for.